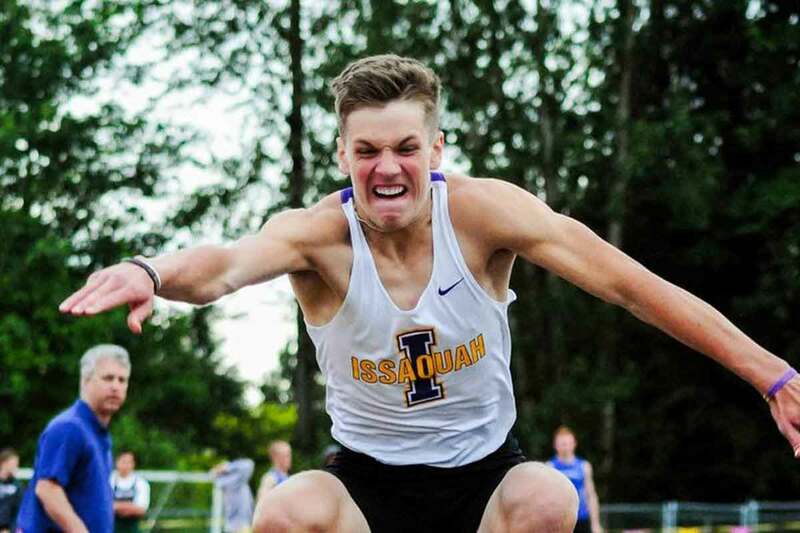 The 6-foot-3 185 receiver preps at Issaquah High School (WA), where as a junior he caught nearly 600 yards and scored nine touchdowns. He is also an accomplished track and field athlete, recording a high jump of 6’5”, a long jump of 21’10”, and a triple jump of 44’10”, while also participating in the decathlon. Check out this video that shows his amazing 65 inch box jump. Q: Why did you choose BYU? A: I chose BYU because coach Cahoon seems like someone I really want to play for. Also, seeing coach Sitake’s passion gets me excited to play for BYU and so does being able to go to school in a spiritually enriching environment. Q: Why of you feel BYU is a good fit for you? Q: What do you most look forward to in suiting up for the Cougars? A: Making big plays with a “Y” on the front of my jersey and a “NELSON” on the back. Q: What other schools were showing you love in the recruiting process? A: Boise St, Hawaii, Air Force, Army, Oregon St, Columbia, Yale, and Wassu all gave me love. Q: What are some of your favorites? Q: Who is a current player (collegiate or pro) that you seek to emulate on the field? Q: What is your greatest accomplishment in sports? A: Beating the returning state champs my junior year. Nelson is rated 2-stars by Scout, and is not rated by Rivals or ESPN. He holds scholarship offers from Air Force, Army, and Columbia and has also seen recruiting interest from Boise State, Harvard, Oregon State, Utah State, Washington State, Wyoming, and Yale. He plans to served an LDS mission, starting in summer of 2017. Class: 2017 HT/WT: 6’3”, 185 lbs.